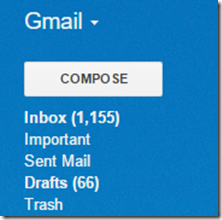 I hate to admit this, but for the past 9 months I have largely ignored my blog’s email inbox. The reason was mostly due to the fact that I have returned to teaching, and free time during the school year to attend to the blog was minimal. I apologize if you have sent me a question and I have not responded – I feel really bad about the legitimate emails that have fallen by the wayside! A) People who want me to help promote a product they market/sell. I have worked regularly with marketers over the past several years. I have become friends with some. Some are very good at what they do, and understand that developing a relationship with publishers that goes both ways is the best approach. Unfortunately, I also get a ridiculous number of requests to promote products that have no relevance to the content on my website. Cigars, romance cruises, mattresses…I could go on and on. And then there are the somewhat relevant product pitches that always start with “Hey Run Blogger, I just read (insert recent post title here) and it was great. I have been reading you blog for years! (But I don’t know your name or how to spell the title of your blog). I’d love for you to write about…. (insert product, Kickstarter campaign, etc.). Don’t pretend, it’s so easy to see through it since these emails arrive every day. B) People who want me to promote their event/athlete/doctor/fitness guru. I get it, it’s hard to get the word out about your running event, the latest accomplishment by your athlete, or the new diet created by your fitness guru. I’m particularly sympathetic to those trying to promote races since I know how hard it can be to get the word out, but unless a site is geographically focused, most will not dedicate a post to race promotion (e.g., the Warsaw Triathlon might be a great event, but a site focusing on endurance sports in Poland might be a better fit). If I shared every promotional request that I get, this site would be nothing but a series of semi-relevant promo pieces that cut and paste press releases, and I could probably post 2-3 per day. As a site editor, keeping things relevant is important, and if it’s not related to running shoes, running gear, or running science, it’s probably not suitable for this site. Shotgun marketing might work in some cases, but knowing the site you are pitching to is a much better approach. My name is John Doe and I recently came across your website . Therefore, I would be grateful for an opportunity to contribute with an article to get linked and mentioned on your website. Of course, I will compensate you with an additional fee for your involvement. Thank you very much for your time and hope to hear soon from you. Often they will list a few article titles, and typically these have no relevance to the site content. For example, one that I received touted several articles about trampolines. Most often these are people who are selling something, and they want a link that will raise their site profile in search rankings. Requests like this, or requests to purchase links directly are some of my biggest annoyances. This is Shawn Barrett and I am sending this message to know whether does your company sell Titanium Sheet. Well if yes, kindly let me know the types and sizes available as well as the unit cost on them to enable me choose the quantities I will like to purchase. E) People who want me to join their advertising network. Writing up my thoughts on advertising warrants a separate post (I think I’ll write one up), but let me just say that I get emails all the time from ad networks promising huge income streams (high CPMs! ), and touting the companies they represent. Initially I fell for some of these claims, but more often then not, advertising networks don’t deliver on what they promise in the emails they send trying to get you to sign up. I’ve been using two or three for the past year that have been consistent and are easy to deal with, and I ignore almost everything else. It’s just not worth the time or effort. As mentioned at the outset, my biggest problem with the flood of emails in these categories is that it makes it very hard to sift through and find the emails I actually do like to get. First and foremost among these are emails from readers asking for advice. I feel terrible that I have not been able to keep up with these over the past year, but I’m not sure of the best way to remedy the situation. If anyone has any advice for funneling genuine emails out of the sea of spam, I’d love to hear your approach! Hey Peter – as someone who has followed your blog regularly for a few years now, I’ve discovered that some of your best advice appears to come from replies that you make to readers in the comments section of a particular article on a shoe or another piece of gear. The shoe acts as a type of springboard for further discussion on a topic of interest between a reader and you. Your Facebook page is another place to facilitate conversations, though I chuckle at the fact that you just had a post there about the advertising inquiry that seemed to hit your inbox after this article. It sounds like 85-90% of the emails that arrive can be largely disregarded, which still makes it difficult to sort through even 10% of the 1,155 messages in the screenshot you mentioned. Maybe you can take a passing glance at your inbox from time to time, but I encourage you to enjoy your time teaching focus on Runblogger at your discretion. Have a restful summer with your family. If you actually do want to bother answering a bunch of questions from random people, you could put something on the blog asking legit emailers to use a specific phrase in the subject line. Filter your email to eliminate anything that doesn’t have that phrase. Alternately, like Austin says, don’t worry about the runblogger inbox — you could even put a notice on the blog that you probably can’t respond to individual emails, and that way you don’t have to feel bad about it! I know the feeling. My inbox is loaded with spam and unwanted solicitations because of the few sites I run. Unfortunate problem but I don’t see it changing anytime soon. A lot of automated bots just crawl the web all day spamming whatever email address the can parse out of a page. Yep, it’s a constant battle, and it takes away from being able to get to the emails I want to answer. Stick to responding to comments. Delete everything in your inbox older than a week. If you haven’t gotten to it by the end of the week then you never will. Other than that, keep doing, the great value you bring is being focused elsewhere. For now. What do you think would be the best minimal, zero-drop shoe for hiking/rock-scrambling/trail-running? Seems like most of the top choices I’ve seen on your blog have drops, and my Merrell Vapor Gloves (which I love!) don’t always have quite enough traction (they sometimes slip on rocks) or cushion (hurt my foot once by stepping on a rock protrusion). I race/run/hike/scramble/trudge all over the front range of Colorado and can attest that you can do better than Merrell. The biggest problem with the Vapor Gloves (as you allude to) is that the rubber is not sticky enough, and that leads to bruised feet as you slide into rocky protrusions. I would strongly recommend the Altra Superior or Inov-8 TrailRoc (245). Both have nice sticky rubber, low (or zero) drop, and a bit more cushion then you will get in the Merrell. These do have more cushion than the Vapor Gloves, but are still pretty low to the ground with a rock plate and good flexibility. You will also see sticky rubber on various Salomon or La Sportiva shoes, but probably in a more beefy (non-minimal) show. I can’t really attest to either however as they don’t make shoes in my (gigantic) size. I’m not sure if it will help with you’re particular situation, but I’ve switched to using Google’s Inbox (app or page) instead of Gmail for filtering/categorizing my emails. The big time-saver is that I can scan subjects in a group, and mark each email in the group as ‘done’ in one click. ‘Done’ doesn’t really delete the emails, but hides them from view. For example, I don’t really read 90% of the emails in my trail running group, but instead just scan for ones of interest. Once read, I one-click the whole lot and they disappear from view.